Our range of products include Concealed Sprinklers and Sidewall Sprinklers. We are one of the leading Concealed Sprinklers Suppliers in the industry. The Concealed Sprinklers offered by us are available in various shapes and sizes. We offer precisely made, dependable and durable Concealed Sprinklers. These Concealed Sprinklers are acquired from the leading manufacturers in the market. Clients can avail from us a wide range of Sidewall Sprinklers at market leading prices. 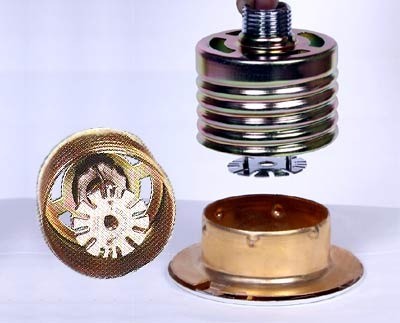 Procured from the prominent manufacturers, these Sidewall Sprinklers are available in numerous sizes and designs. The Sidewall Sprinklers are made of superior quality metal and are known for their flawless make, easy to install designs, and durability.